today we would like to present you an extremely inspiring project that combines the mathematics and art, human beings and computers. 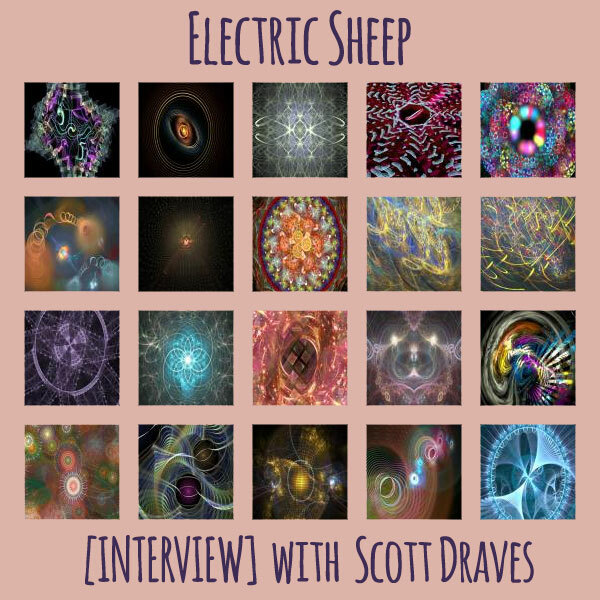 Today we chat with Scott Draves, the creator of Electric Sheep. 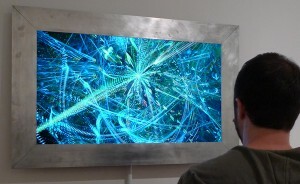 Electric Sheep is a distributed computing project for animating and evolving fractal flames, which are in turn distributed to the networked computers, which display them as a screensaver. 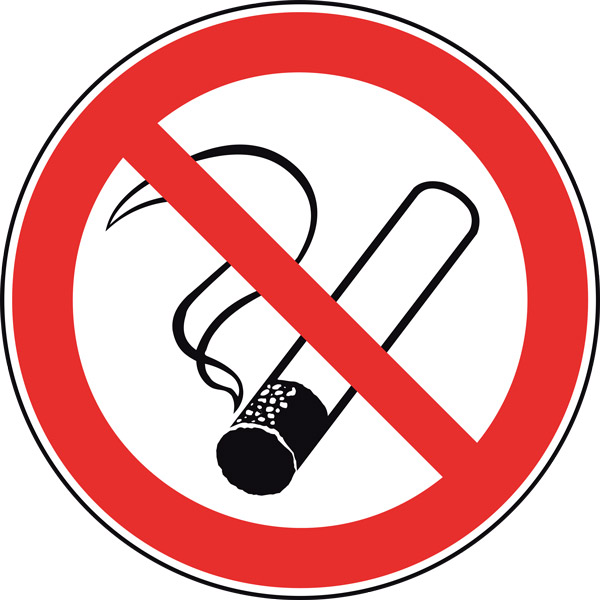 The process is transparent to the casual user, who can simply install the software as a screensaver. 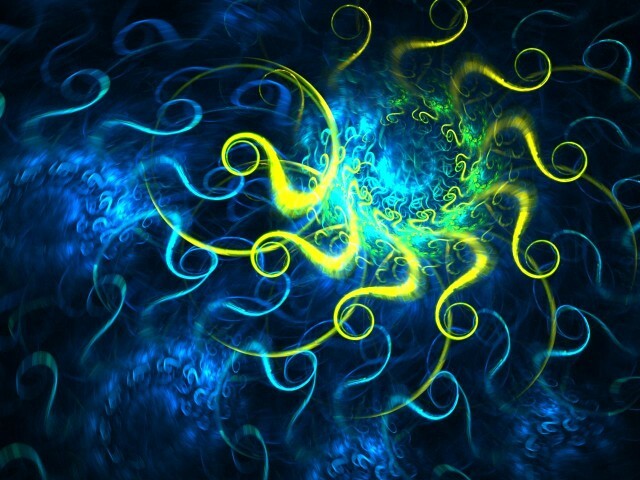 Alternatively, the user may become more involved with the project, manually creating a fractal flame file for upload to the server where it is rendered into a video file of the animated fractal flame. As the screensaver entertains the user, their computer is also used for rendering commercial projects, sales of which keep the servers and developers running. First created in 1999 by Scott Draves, the Electric Sheep is a form of artificial life, which is to say it is a software that recreates the biological phenomena of evolution and reproduction through the mathematics. The system is made up of man and machine, a cyborg mind with 450,000 participant computers and people all over the Internet. This is a distributed system, with all participating computers working together to form a supercomputer that renders the animations, called “sheep”, that everyone sees. The human participants guide the survival of the fittest by voting for their favourite animations in the flock. You can join this project by downloading the Electric Sheep Screensaver. Each participating computer follows mathematical instructions, Draves’ Flame algorithm, to render its own piece of the larger work, as seen in the table on the left. The images are sent back to a central server which compresses them into animations which are sent back out to the viewers. The electricsheep.org website shows the family tree for each sheep, including its parents and offspring, and viewers can track family resemblance. 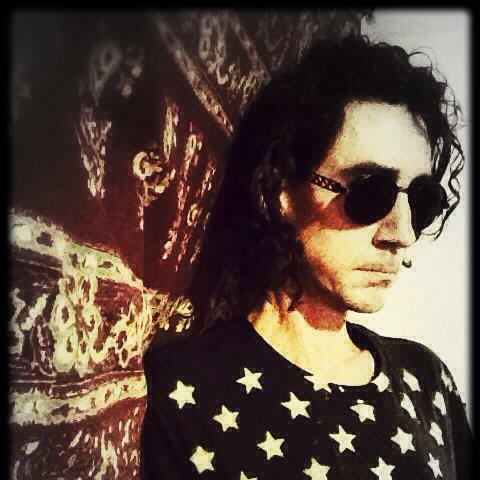 Interview taken by Gagarin in December 2014.
it is a big honour to have a discussion with you, i have to tell you that i am a long-time ES user, using it already to entertain myself at home and to entertain others at some underground music events organised in Paris. The shapes and colours that are present in ES are truly fascinating and i haven’t seen anything “generative” that can be compared to it. The digital sheeps (video files) are seamless, organic, and infinite. Thank you for finding time to speak with us today. It’s a pleasure, Gagarin, thank you very much, glad you have enjoyed our art. Indeed, most generative art is made with a handful of geometric primitives such as circles and lines, simple versions of the technology developed for video games and movies. The standard technique is based on a metaphor that comes from drafting, the notion of a pen that the programmer controls with coordinates. 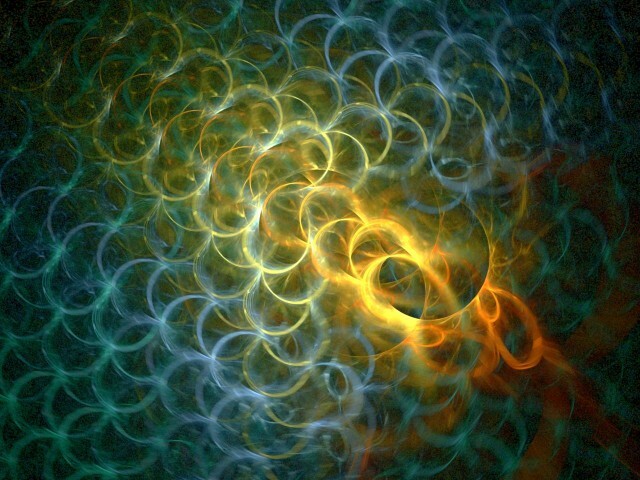 The Electric Sheep is completely different, and this directly results in both the unique, complex, textured style, and also the conceptual or procedural fact that I don’t really control how the image comes out. The Electric Sheep works by solving an equation with thousands of parameters and millions of variables. The parameters are the genetic code for the Sheep. And every pixel has about 64 variables, in fact. So drawing each frame of animation takes about an hour of work on a regular PC, where it’s doing a simulation and solving the equation, and one doesn’t know how it’s going to come out until it’s done. It’s really a process of discovery instead of one of design, and that’s important to me because that’s how life is. How do you see the role of ES in modern world of information? What is the message that is spread through this technology? 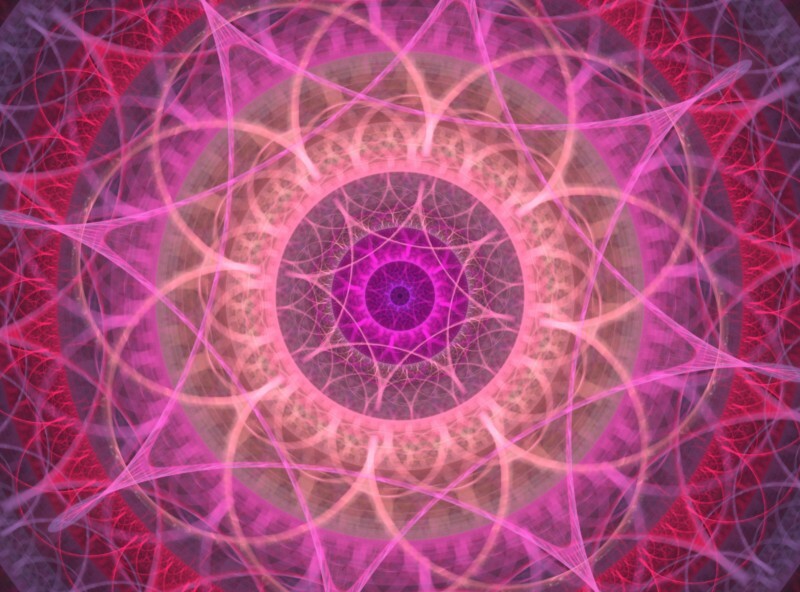 1) What is the essence of life and consciousness and can it be reproduced in digital form? What is the relationship between man and machine? My artistic mission is to create life in virtual reality. It’s not clear how successful one can be. The answer is up for debate in current society. Can computers think? Can a computer be creative? Or is humanity the only possible vehicle for what really amounts to a soul? It comes down to a religious question. 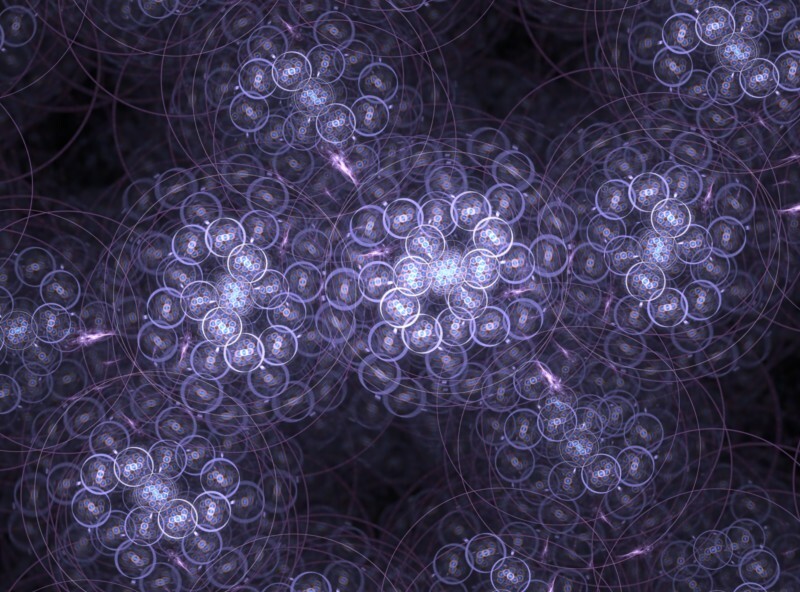 Some people believe that only people have souls, some people believe that spirituality exists everywhere in the universe, some people believe that all material matter follows the rules of physics, and if you can figure out what physics is, a computer can follow the rules and therefore you can simulate life in a computer. So it really becomes a profound question that we are, as a society, really just starting to struggle with. 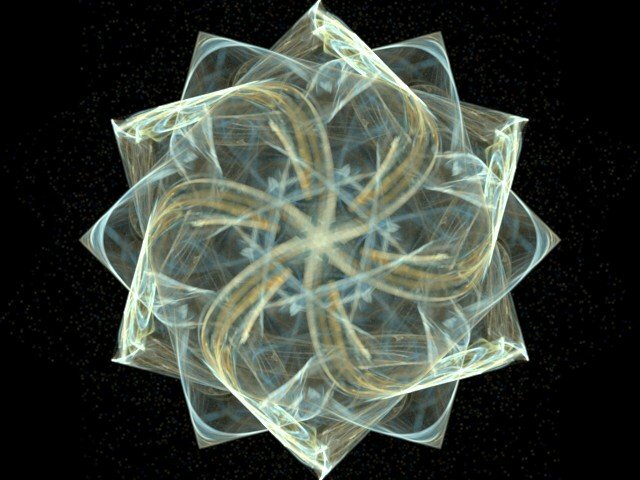 If computers can be conscious, and computers continue to grow exponentially, then we face an explosion of awareness. The Electric Sheep are crossing the line from the digital into the organic, suggesting that this is possible. It’s an idea I find very exciting, but it’s also possibly dangerous as has been suggested recently by Hawking and Musk and others. The Electric Sheep propose a merger of man and machine, becoming cyborg, working together, and riding the wave, rather than thinking of it as Us vs Them. 2) the second is about open source which is really important to me. I think copyright and patents are a terrible way to organize digital society and the Electric Sheep is taking a different approach. How to make open source sustainable is a big question: it’s easy enough to have a hobby of giving stuff away but that’s can’t work at large scale, eventually someone has to pay the rent and put food on the table. These days there are a lot of open source businesses, but in the early 90s when I started making open source art it was a radical idea. The computers are getting more and more powerful, the highspeed internet connection is getting cheaper and more accessible, how does it influence ES? The biggest barrier to the Electric Sheep is bandwidth, not CPU speed. We actually have more than enough participants to render plenty of animation. The problem is distributing it, as the server bills are very expensive, and it takes time to download the Sheep. Fortunately we are allowed to use Archive.org’s infrastructure for hosting the main downloads, since the Sheep are freely licensed and their policy is free hosting for free content. Thank you Brewster Kahle! But even so, the coordination servers are expensive. We tried using P2P protocols to eliminate the server bill but it caused all kinds of problems. Unfortunately in America, highspeed internet isn’t getting much cheaper so we are stuck with slow downloads. It’s an enormous political problem. 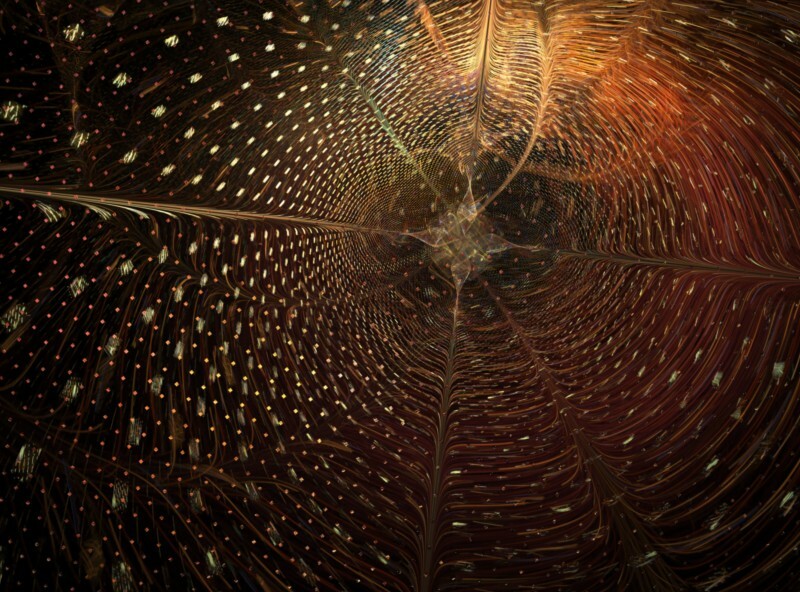 The amazing capabilities of GPUs however is coming into play in the field of generative art in general. You can do a lot in realtime, even some things that rival the complexity of the Sheep. But it takes a lot of power, so your electric bill and carbon footprint will suffer. The Sheep share the rendering work and so are very efficient by comparison. Of course, the most green is to just turn off your computer, but what fun is that? As i read, there have been around 10 major “sheep” generations. What is the difference between them? Once the new generation is born, all previous sheep design disappear or they are re-rendered with some new parameters? That’s right. When a generation ends, all the sheep die, and new ones are born and start evolving. Some of the generations are more different than others. Usually I have taken the opportunity of this apocalypse to upgrade the software and the genetic code, since that’s not possible in the middle of evolution. Sometimes though it’s just a restart because the server was full. The previous sheep do not come back, though I do have a genebank from the previous generations that I can use to seed the new generation, and so there are usually some bloodlines that cross generations. How many people have the ES installed on their system now? How many of them run it at least once per week .. I don’t have a weekly number but the last time I measured it we had 450,000 monthly unique users. I don’t know how many of downloaded it or installed it, since it’s open source there are a lot of sites where you can get it and I don’t have access to their stats. The software does not report anything back when it’s installed so I don’t know that either, just those who really run it, because it contacts my server in order to download the sheep. You have recently created application for android phone and for ipad, what was your motivation on creating these products? Well partly I want to see Electric Sheep everywhere. This is especially true of the Android version, since it runs as live wallpaper I see it every time I take out my phone, and it’s always updated with new Sheep. But I was also motivated by the income they generate — see above about making open source sustainable and the server bills. Do you have enough time for ES project ? Do you think it is necessary for you to accommodate more time for it? Unfortunately no I don’t have enough time to develop the project to its full potential. In 2008 the global financial crisis reduced my income, and at the same time my wife became pregnant, so I had to get a regular job again. And then of course the babies came so it’s not possible to work on it as much as I like and it deserves. Fortunately I have a great day job doing open source of a fairly different kind (data analysis and visualization, check out http://BeakerNotebook.com if you are interested). I am working on hiring more people to take over more of the operations and development but of course that is expensive and risky. How many person are payed to work for ES, what do they work on and allows you to finance it? I have about one programmer for each platform (mac, pc, linux, android, iPad), plus one for drupal, and my wife is the business manager. In the past we had a graphic designer and Erik Reckase did a lot of work on the flam3 renderer. None is remotely fulltime. Some have volunteered and refused payment for which I am eternally grateful. The server bills are also substantial. To pay for it all, the income comes from a few places: the apps, the limited edition art and licensing, and the shirts. I use the screensaver as a design laboratory and factory to realize the museum-quality limited edition pieces. I select Sheep that satisfy my aesthetics, redo them in high definition and slow motion, and edit and assemble them into final pieces. The final creations are like paintings. They are so different from the free screensaver, you really need to experience them in person to understand. I would like to express my admiration for the new limited edition T-Shirts. I would love to get one! How long do you think they will be available for sale? Thank you. I make just one shirt design per year and this year is an edition of 300. They went on sale less than a week ago and I expect they last just a few more days, so act fast! 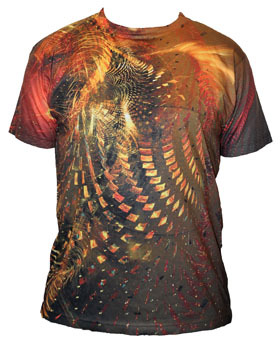 This shirt is nicknamed the Firebird because of how it looks and after Stravinksky’s ballet, which premiered in Paris. Designing clothing is one of my favorite things to do with the Sheep and I am truly honored that people choose my work to wear and make it part of their identity. It’s a lot of work and I am picky about the image quality, but I do plan on expanding in this direction, so if you like this idea, sign up for my email list. I only send out a few notes per year including for when the next shirt or whatever is next comes out. I am subscribed already, and that’s exactly how i get that info from. How do you see ES in the future? For example in 10 and in 20 years. Good question. First I see it still alive and still growing and still evolving. Ideally it will be independent, self-sustaining and completely beyond my comprehension. I wanted to donate some money to the project, is there a way to do it? 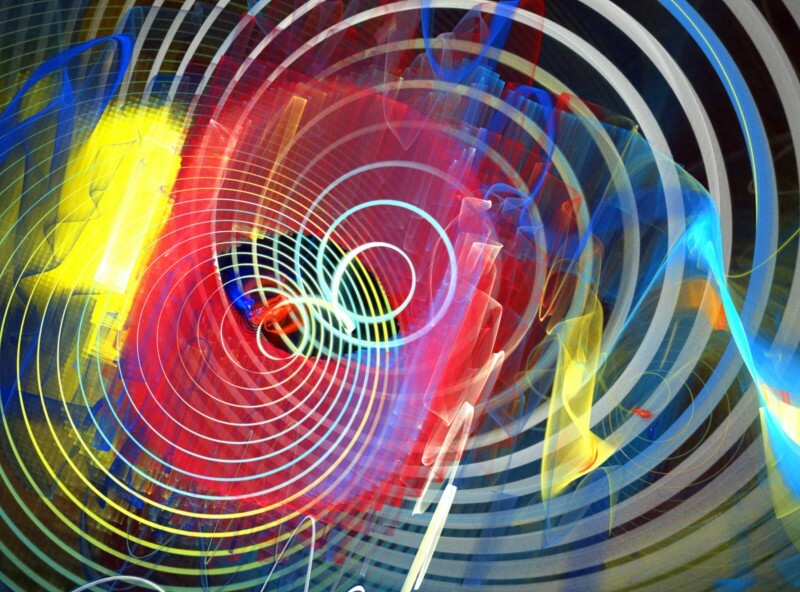 As a technology lover and music performer i am fascinated in Visual Arts, specially the one that are synchronized or tuned in with the music. Music is very important to me, I love working with music, and I consider my art to be a form of visual music. What software technologies did you use to make you visual performances? which one would you use now? I used lots of different tools over the years. For software I got into the business by writing my own, it was called “Bomb” and it was also released as open source and used by a variety of performers. However it was not like most VJ software because it was a synthesizer, it did not use video clips as input and apply effects. I also used VHS tapes and then DVDs and DV 8mm tape. I started out with a Videonics mixer and later got an Edirol V4. There was a great scene of VJs in San Francisco and I learned a lot and made great friends. b) live processing. As i imagine it , it doesn’t have to be a complete creation of sheep according to the music, it can be a color modification for example. Indeed but I can’t comment on work in progress. Is there a way to send video from electricsheep to VJ software? Is it possible to do with syphon ? I did it with two computers many times, just using the video out from one into the other. Putting Syphon into Electric Sheep shouldn’t be hard and I look forward to accepting the patch. What do you think about normal paintings ? 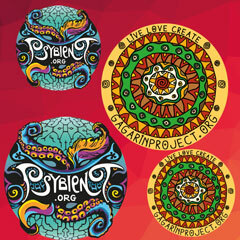 Do you enjoy visionary art ? I am inspired by many painters who I love, starting especially with Kandinsky. 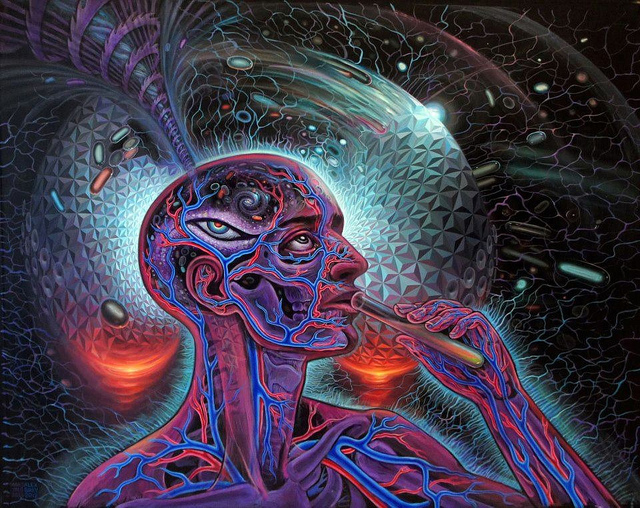 And yes I enjoy many kinds of visionary art, from Tomaselli and Venosa to Alex Grey and many more. What is your secret of happy family life ? Wait until you meet the right person. Do you do some spiritual / health-oriented practices? I did a lot of ashtanga yoga when I lived in the Bay Area, and I bike a lot, even commuting 15 miles per day in NYC, though only in fair weather, alas. What about music, how important is it to you ? Did you have chance to psychedelic downtempo and chillout music, what do you think about it? 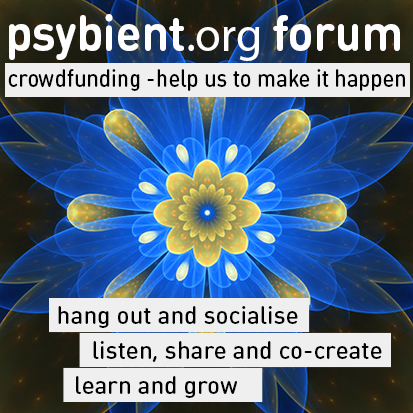 If you haven’t, I would like to propose you to discover some of the recent releases in the featured section of psibient.org website. Do you listen to electronic music? Every day and I know most of the artists on that page. My favourite place to actively listen to music and discover and learn is plug.dj, but it’s too distracting to use while I work. Do you still go to Burning Man ? What do you usually bring to the playa ? I went 9 times but it’s not practical anymore, plus there are many places I have never been. It is an amazing thing and I recommend it to everyone. In one of your previous interview i read that you spent about 3h daily on your afterwork time on personal projects, is it still like that? what motivate you to be such a determinate enthusiast? what are the projects you work on now? Not that much anymore, unfortunately. If you don’t mind i would like to ask you some technical questions. If this answers are already answered somewhere, you can just give links and we will read. How many gigabytes of rendered ES video is hosted on your server now ? How many sheeps are alive ? only a handful (about 20) are alive at any one time. Most of the database is of dead sheep, about 50,000 in the current generation, including the transition between Sheep. Archive keeps all the video files, I would estimate 200GB for the current generation. Can you explain in simple words, maybe with help of simple abstraction the process of creation of video files (sheeps) that are displayed in Electric Sheep? Ideally it would be something that could be understood by non “developers” kind of people. A good technical explanation is here: http://draves.org/aoae07/, and above is a very brief nontechnical one. Correct me if i am wrong, ES not only download and play sheeps, but also render them. What is the role of flam3 in this? What are other software implicated in the process? FLAM3 is the render engine and genetic algorithm. It converts genomes to images and combines genomes to create new ones. Indeed when you are watching the Sheep, the bits you see come from computers all over the world. The server is a whole other very complex piece of code, involving internet programming and distributed computation. In particular, it can defend itself not just against bugs but against vandalism, as people try to get there own images into everyone’s screensaver. How to proceed? What skills would be necessary for this ? Once the sheep is ready is it possible to configure ES to loop in between these three version of same sheep? All the AVI files are on your hard disk you can open them up and work with them with typical software. Start with VLC, and use F4 to identify what you see. To really change it however you would need to alter the genetic code and rerender it. The FLAM3 software has documentation and you can ask about it on the forum on electricsheep.org or on deviant art or the fractal forums. we can all run ES on our computers, but sometimes it is handy to visualise the video from USB or from a DVD. As i know the only way is to get it legally, is to purchase a BR disk, however 900 usd price tag is probably too expensive for most of us What do you think about users that upload 1-2h long HD sequences of ES videos to youtube or to the torrent sites? That’s great as long as you respect the Creative Commons license (attribution noncommercial). If you make a good one please let me know! I have so much more questions to ask you, but i don’t want to take too much of your time. Here are two last questions. What are your top most important software / technologies that you know? What os your operating system of choice? OS of choice is Ubuntu Linux. Most important tech: GCC, Linux, Emacs, Mozilla, Apache, FFMPEG. Thank you so much for the magic world of ES that you have created and for sharing your precious time with us today! wasn’t it too long to read ? I love Electric Sheep. It’s quite an interesting project.